Looking for some cute last minute ideas for Easter but don’t want to worry if it will be shipped on time? 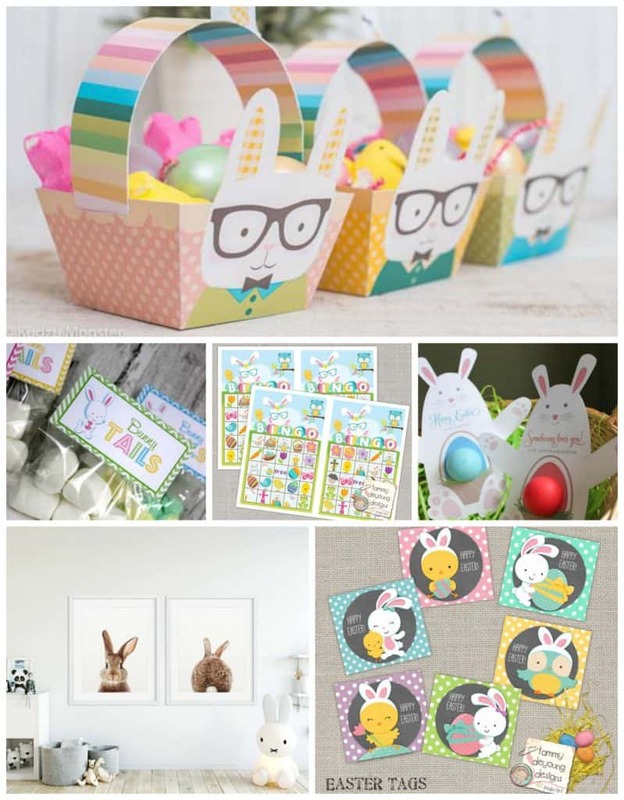 We’ve got you covered with last minute Easter printables from Etsy. All of these printables will be available for instant download as soon as you pay! It doesn’t get any easier than that! And, you can print these as many times as you want. And, don’t forget the free Easter printables we have too! 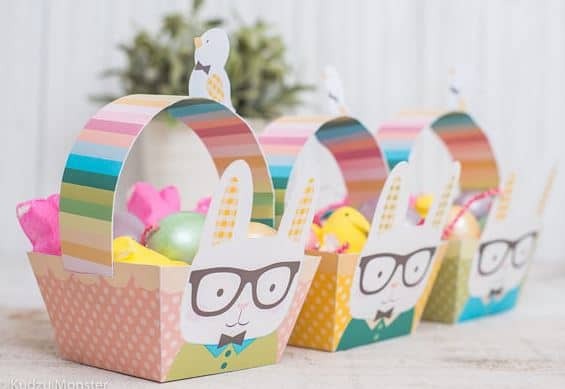 How cute would this Easter Bunny Basket be sitting out and waiting for your kids? Fill it with Easter eggs filled with candy and whatever else you want to give your child. This is only $4.50. Do your kids have an animal theme in their rooms? Or, do they just like bunnies? 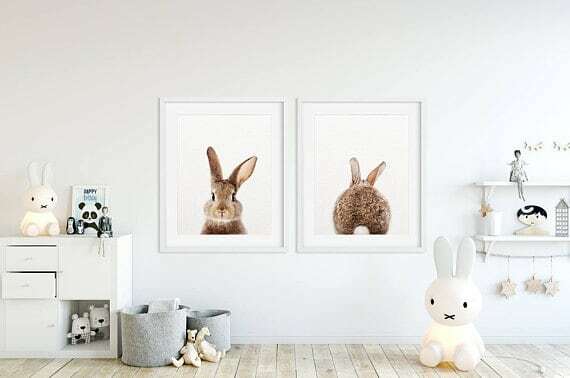 This Set of 2 Bunny Prints is adorable and would look super cute in a child’s room. You can get this for $9.74. If your kids want to take an Easter treat to school for their classmates, this is such a fun idea! 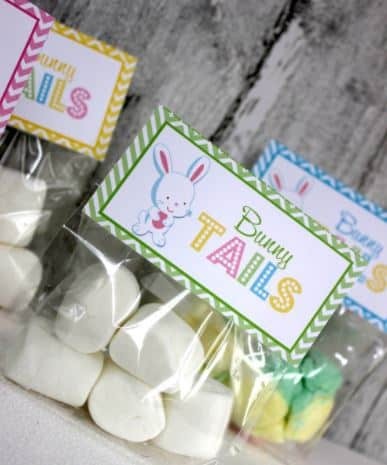 Put marshmallows in a cellophane bag and then add this super cute Bunny Tails topper for a fun treat that all kids will love! This is just $5. We also have a FREE Easter bag topper that you can download right from our site! Is your child’s class having an Easter party at school? Or, do you just want some fun holiday-themed games to play with your kids at home? 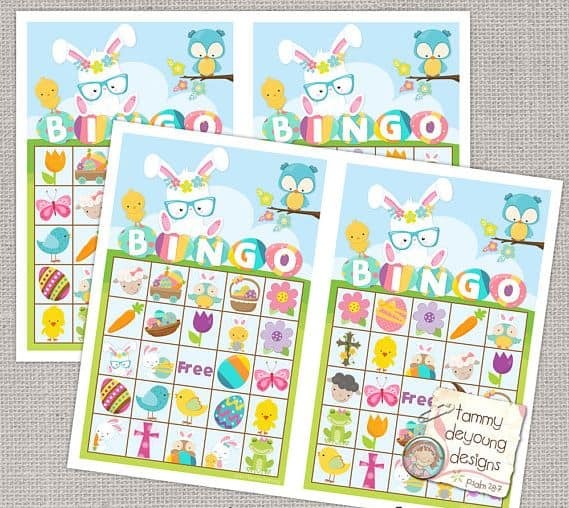 Kids will have a blast playing Easter Bunny Bingo! You can get this for just $4.99. Looking for a different kind of label for treats to take to school? 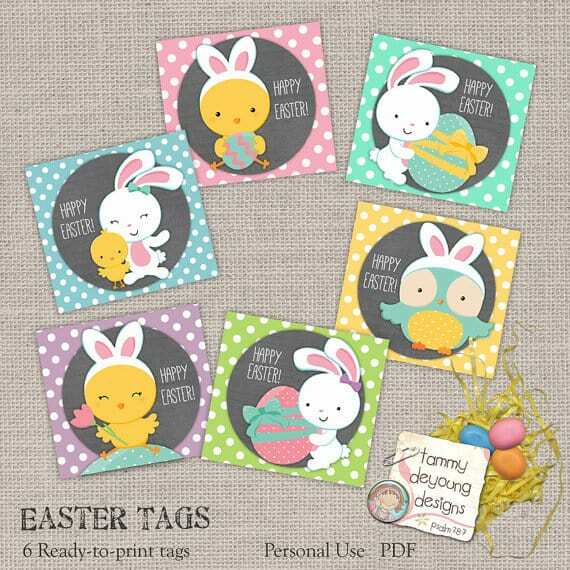 These Easter tags with chicks, bunnies and owls are super cute, and each one says Happy Easter. Get this printable for $3.50. And, if your little girls love EOS lip balm, this is such a cute way to give them to your daughters in their Easter baskets! 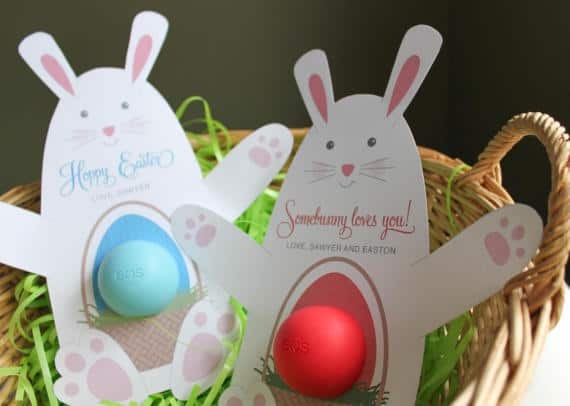 Put the lip balm in this adorable EOS Lip Balm Bunny Gift. Grab this for just $5.50. Make sure you don’t forget the free Easter printables we have too!